Are you overwhelmed with keeping up with all your social media stats? Facebook, Twitter, Pinterest, Instagram, Google Plus, Vine, Flickr – it can all become too much to manage. But, do not dismay, there are social dashboard tools to help and one of our favorites is Sprout Social. It is not only an extremely useful social media monitoring tool but also is very affordable starting at only $39 per month (or only $3.90 per brand/platform!). If you think about all the time you are spending tracking all those fans, followers, retweets, +1 and conversations, it does not take long to see clearly that time saved with an effective social media management tool is worth much more than a monthly cost of less than forty bucks! 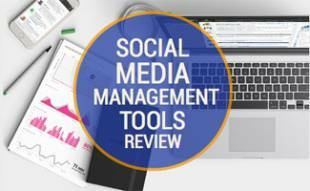 We at Cover Story Media and We Rock Your Web use Sprout Social to track, publish and engage on social media and wanted to share some of the features of this tool so you can get started benefiting from it as well. 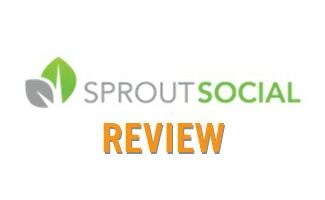 So read more of our Sprout Social Review and see how you can benefit from it. 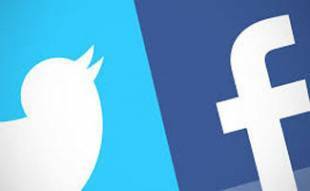 Although Facebook integrates with Twitter allowing you to push your Facebook status updates to Twitter and visa versa, we don’t advise that as a best practice. No one wants to be the guy that is posting links on Twitter that say fb.com/url or be the one posting tweets that show up as status updates with hashtags and @ mentions which mean nothing to Facebook. Your readers will see right through these techniques quickly and may even call you out for being inauthentic. Using Sprout Social, you can publish the same content in both places but tweak it slightly depending on your audience with one single log in. And if you have multiple accounts, you can do it all without having to log in and out on each account. A great feature of Sprout Social is that you can schedule your updates in advance – even based on the optimal time for each brand’s send times. This can save you tons of time in the long run. And if you have an editorial calendar, you can schedule your posts for the whole week versus in real-time. This is extremely helpful over the holidays and during vacation or if you have a ton of ideas and want to have a back log of posts to choose from in the future. Although we always recommend you stay on top of current events and anything that is relevant in the now too so that your readers can see that you are staying current and on top of your industry. With Sprout Social you can track all your new Twitter followers, mentions, retweets and Direct Messages as well your Facebook wall posts, comments and private messages all in one single screen and filter them to view all or one type of message at a time. This way you can stay on top of important messages ensuring you react promptly to your fans and followers questions, give praise for shout outs and thank your new followers. Finding great content to share is key to an effective social media effort. Social Sprout also helps you become a curator instead of constantly creating new content. Sync your account with your Google Reader RSS account to have a constant feed of content readily available and at your disposal to use for social media. Another way to use RSS feeds is to set them up to automatically publish content from your blog so that it will auto-tweet messages when new blog posts are live. The most time-saving and beneficial feature of Sprout Social is the reporting. You can quickly and simply see all your accounts (or a single account/brand) stats and progress at-a-glance. Facebook provides you with insights within their interface but they no longer let you choose the time frame. Sprout Social does though. Here you can view all the same stats provided by Facebook but you can track back in time and select the date range you are interested in analyzing. You can also discover the top performing posts so you can tell what content is getting the best traction and track campaign effectiveness. Another good tip for someone managing multiple accounts (like an ad agency account exec) is to view a group report or create a custom one to compare across brands or channels. We love that Sprout Social takes the numbers and digests them into a format that you can better understand such as engagement and influence scoring so that you can make your future social media programs more effective. And if you are unsure what all the data means, Sprout Social offers explanations of each measure. And the best part is, all this info is available to export to a PDF & CSV reports for deeper analysis if you choose. Plus, you can integrate with Google Analytics to dig in even deeper to how social media is working in tandem with your website. In the Discovery section of Sprout Social, you can find new people to follow on twitter that are suggested for you based on relevancy. One way being to view the people who are following you but you are not following. Then you can easily see their number of followers, location and profile and follow them back if you think it would be beneficial with the click of a button, without ever leaving your screen. It also has the ability to filter by how influential the users are so you can bring the cream of the crop to the top and engage with those people first. Similarly, you can easily follow the people who you have conversed with or who have mentioned you. Consequently, if you want to clean up your list of people you are following, you can do that too. It will show you people you are following who may have displayed very little or no activity recently, people who do not follow you back and users that have abnormal usage or friend counts. Then easily unfollow them, mention them or report as spam. Finally you can find new potential users to engaged with by using the Smart Search feature and searching for keywords around your business. Search for keywords or phrases that your customers would be talking about. example: ‘I want a latte’: Smart Search for keywords that may be found in the profile of a potential customer. example: ‘latte lover’ and then quickly follow, mention or engage with them. If you are working with a group of other people who are also in charge of your social media efforts, then the Sprout Social Teams feature is a great tool to utilize. Simply assign tasks to other team members, create notes on tasks and get sent message stats. They can also assign tasks to you and then you can view your tasks. This is another highly useful way for advertising agencies and other content manager of multiple brands to better manage their businesses. With Sprout Social’s mobile App for iPhone, iPad and Android you can monitor, schedule and see reports while you’re on the go so you’ll never miss another conversation. They also have a Bookmarklet which allows you to share web pages while browsing the web on your desktop, mobile or iPad. Similar to Pinterest, they even have a Sprout Chrome extension so you quickly share web pages while browsing the web too. Sprout Social offers three levels of pricing and all plans are month to month with no contracts and you can cancel anytime (no pro-rated discount, expires at the end of that month’s billing cycle). And you can try any plan risk-free with a 30-day free trial (no credit card required). Enterprise and Agency Plans also available for larger organizations who need custom plans. Pricing not available on website, you must contact a specialist for more info. You can take Sprout Social for a test drive – they have a 30 day free trial so you can try it out and see if this is a tool your business would benefit from. Ours sure does! Good to know this exists as I’ve been using Tweetdeck and it’s great but when you schedule things for Facebook it still shows as sent from Tweetdeck which is annoying – also there is no analytics and I am manually having to go on to each account to get the stats i need each month. This will be a huge time saver for me and my team, can’t wait to share it with them and utilize the features. Will probably test it out first but thanks again for sharing this useful tool. Thanks so much for sharing your experience with Sprout Social, Sadie! Appreciate the kind words and love to hear that you’re enjoying the application.